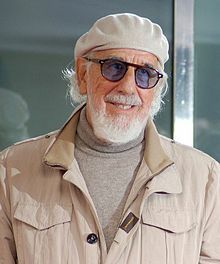 For the American radio journalist, see Lou Adler (journalist). Lester Louis Adler (born December 13, 1933) is a Grammy Award-winning American record producer, music executive, talent manager, songwriter, film director, film producer, and co-owner of the famous Roxy Theatre in West Hollywood, California. Adler was born to a Jewish family, the son of Manny and Josephine (Alpert) Adler in Chicago, Illinois in 1933 and raised in the Boyle Heights section of Los Angeles, California. His career in music began as co-manager, alongside Herb Alpert, of Jan & Dean. Adler and Alpert transitioned from managing into songwriting, composing the song "River Rock" in 1958 for Bob "Froggy" Landers and The Cough Drops, "Wonderful World" with Sam Cooke. Capitalizing on Dunhill's success, Adler sold the label to ABC in 1967 and founded Ode Records, to which he signed Carole King, Spirit, Cheech & Chong, Scott McKenzie, Peggy Lipton, and others. Adler produced all of King's albums on Ode, which include four Gold, one Platinum, and one Diamond certified albums by the RIAA. King's second album for Ode, Tapestry, sold more than 25 million copies worldwide, and is widely considered one of the greatest albums of all time. 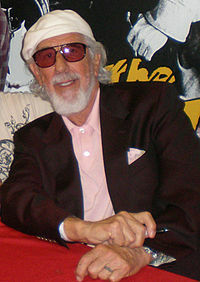 Adler's work on Tapestry garnered him two Grammy Awards in 1972: Record of the Year (for producing "It's Too Late") and Album of the Year. In 1978, Adler directed the movie Up In Smoke, starring Cheech & Chong. The movie remains a cult hit, and in 2000 Adler recorded a commentary track along with Cheech Marin for the DVD release. His 1981 film, Ladies and Gentlemen, The Fabulous Stains, did not make a large impact upon release but has enjoyed a long life on cable TV broadcasts. Also in 1981, Adler executive produced the follow-up to The Rocky Horror Picture Show, Shock Treatment.